Let’s start with the most fundamental recipe. 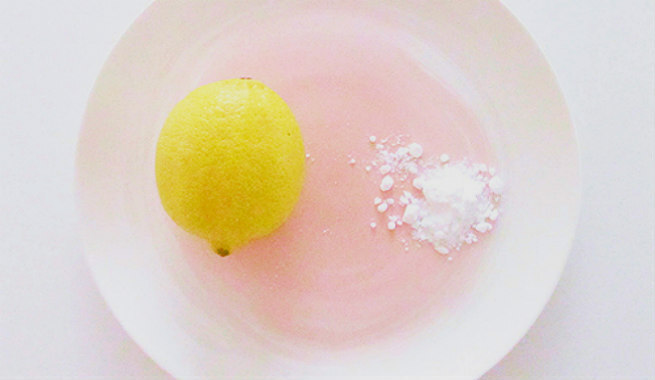 Squeeze out the juice of half a lemon to make 1 teaspoon of it. Mix it with 2 tablespoons of baking soda and blend well. You can alter the ratio of ingredients as per your requirements and your skin type. If it feels too thick, add some more lemon juice or a tablespoon of plain cold water to dilute the mixture a little. Conversely, to fix a runny mixture, add baking soda pinch by pinch. Once it reaches your desired consistency, smooth over your face. Scrub gently with your fingertips for a few minutes and wait for 15-20 minutes. Then, wash it off with lukewarm water or wipe it off by using a warm wet washcloth and splash cold water on your face. Being a proven humectant, antimicrobial, antibiotic and antiseptic substance, honey can make the lemon-baking soda face mask even stronger for cleansing as well as beautifying our skin. Take 2 tablespoons of baking soda in a small mixing bowl. Add 1 tablespoon of fresh lemon juice and 1 tablespoon of pure, raw, organic honey to it. Combine well to form a uniform paste of medium consistency. Apply it all over your face, massage in a small circular motion by using your fingertips, and allow the mask to sit for next 15 minutes. Then, wipe it off with a wet washcloth and wash your face with plain cold water. Tea tree essential oil is highly appreciated for its anti-bacterial power and hence, incorporating it in the basic lemon-baking soda mask recipe can help you a lot in protecting your skin from bacterial attacks. Put 2 tablespoons of baking soda in a mixing bowl. Squeeze the juice of half of a lemon into it and add 8-10 drops of tea tree essential oil. 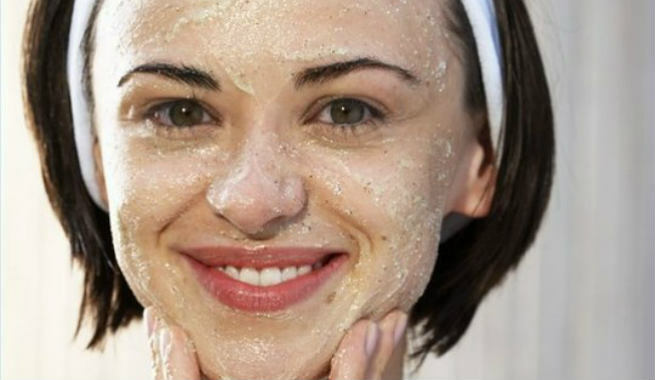 Spread it over your face evenly, rub gently for a few minutes by using fingertips, and leave on for 20 minutes. Once it dries completely, rinse well with fresh cold water. 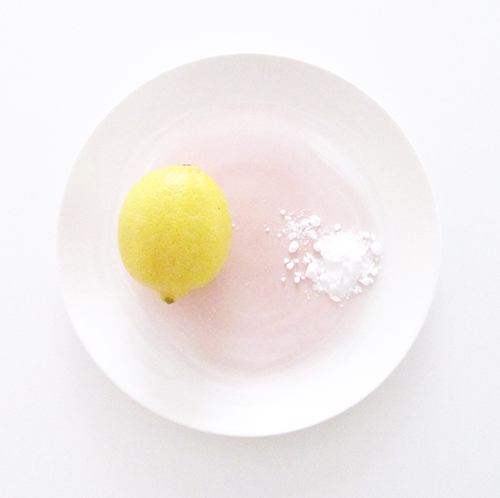 If you want to give the exfoliating power of the lemon-baking soda face mask a boost, add brown sugar to it. Take 2 tablespoons of baking soda and 2 tablespoons of large granulated brown sugar in a mixing bowl. Pour 2 tablespoons (increase the quantity if required) of freshly extracted lemon juice into it and blend well until the sugar granules are dissolved partially. Apply the mask uniformly to your facial skin and scrub in a gentle manner by moving your fingertips in a small circular motion. Let it sit for 15 minutes and then, wash off with lukewarm water followed by a cold-water rinse. Those who are desperately seeking a solution for oily skin-related issues should give this version of lemon-baking soda face mask a shot. Take 2 tablespoons of baking soda in a mixing bowl. Add 1 tablespoon of fresh lemon juice, 2 tablespoons of plain yogurt, and the white section of an egg to it. Whisk everything together by using a fork. Cover your face with the creamy mixture and wait for 20 minutes. Once it dries and your skin feels tighter, wash off with tepid water followed by a final cold water rinse. 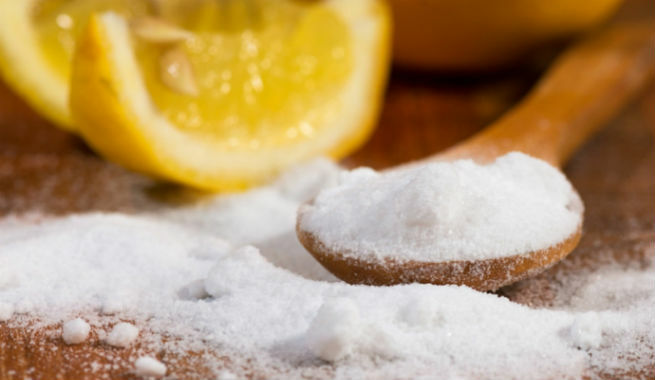 However, do not use lemon-baking soda face mask more than twice a week as it might cause more damages and worsen your skin condition.